Home A Look Back Would You Like Pancakes with Your Ballot? Would You Like Pancakes with Your Ballot? The people queued up outside Pancake Circus aren’t waiting for pancakes. They’re waiting to cast their votes for California governor. 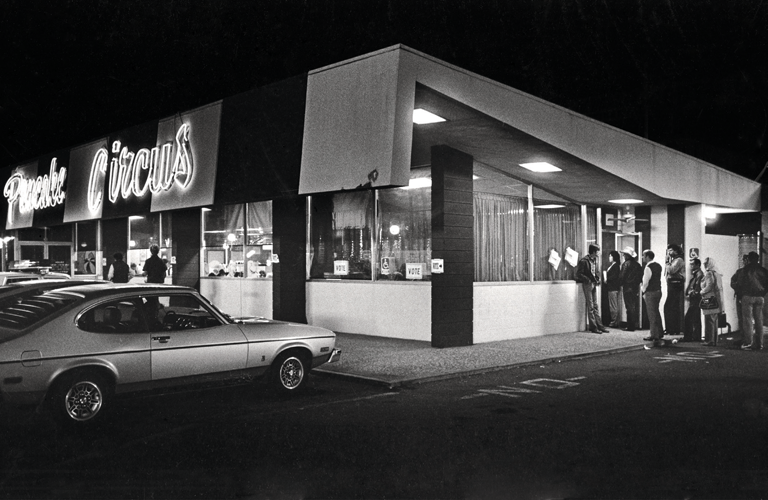 In the November 1982 election, Pancake Circus, which remains open at Broadway and 21st Street, served as a polling place. The election was won by Republican George Deukmejian, who went on to serve a second term.